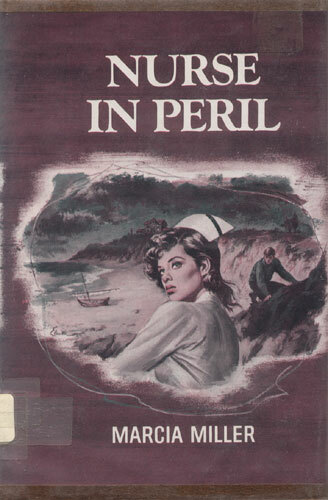 It was fortunate that Portugal had always held a strong attraction for Nigel Baxter, for otherwise she might not have agreed to her uncle Evan’s request that she give up her vacation plans in order to take on a case there. Evan Baxter was one of David Wycherly’s doctors, and since Mr. Wycherly had suffered a leg fracture while vacationing at his home in Estoril, Dr. Baxter felt that Nigel could care for him and at the same time fulfill her wish to see Portugal. Nigel knew that David Wycherly was a wealthy and powerful California man who had disowned his only child, Eve, when she married Allen Farrell against his wishes. And even when Eve and Allen had a daughter, David Wycherly never acknowledged her. Three years ago the Farrells died in a boating accident, and the old man relented at last and sent for his estranged granddaughter, Claudia. Now, according to Nigel’s uncle, the Wycherly family — David, his eccentric sister, Miss Clatie, and Claudia — was happily reunited after much celebrated publicity and a dramatically unhappy past. Nigel admitted to herself that the legend of the Wycherlys held a compelling fascination for her. But when she saw the gray stone house — a castle in miniature — looming on a rocky promontory high above the ocean, she experienced a feeling of disquiet, unease — a feeling that was only to increase with each passing day in the Wycherly mansion.